There are a number of resources that are helpful for data logging at other locations on the website. This page will give you a quick way to find all of them. 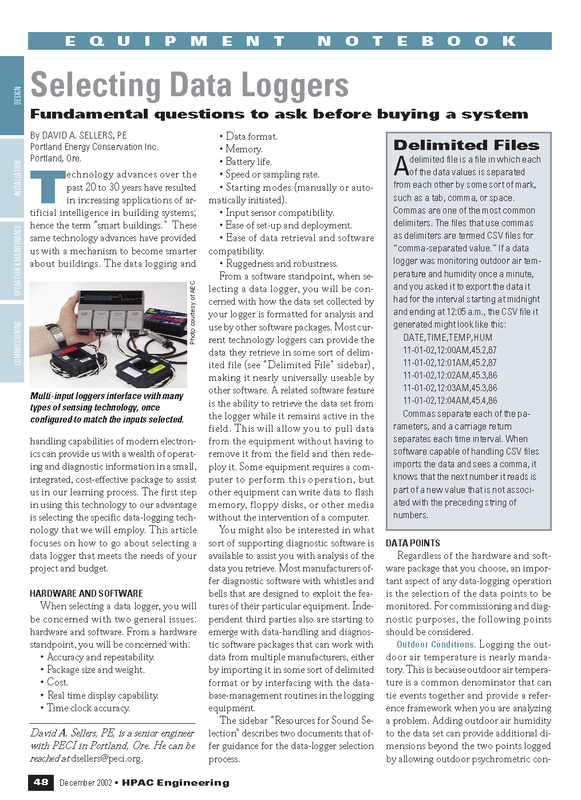 A number of years ago, I wrote a series of articles on data logging basics for Heating, Piping and Air Conditioning magazine. Data logging technology has advanced since then, but the principles and things you need to think about have not changed. You will find the articles on the Magazine Articles page of the website. 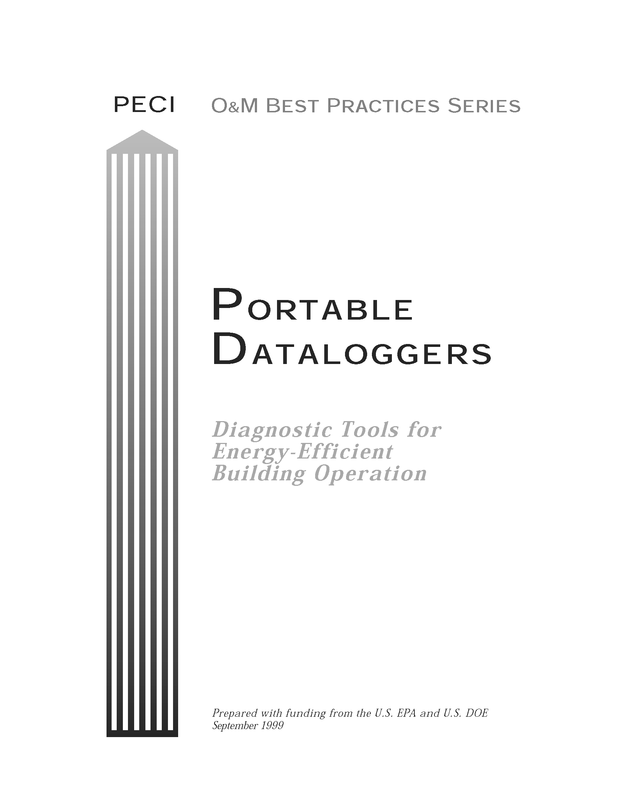 When Tudi Haasl was at PECI, she wrote a data logging best practices guideline. The information today is as good as it was when she wrote it, but it's become harder to find. You can download it using the link below. Monitoring plans are a good way to organize your data logging effort. 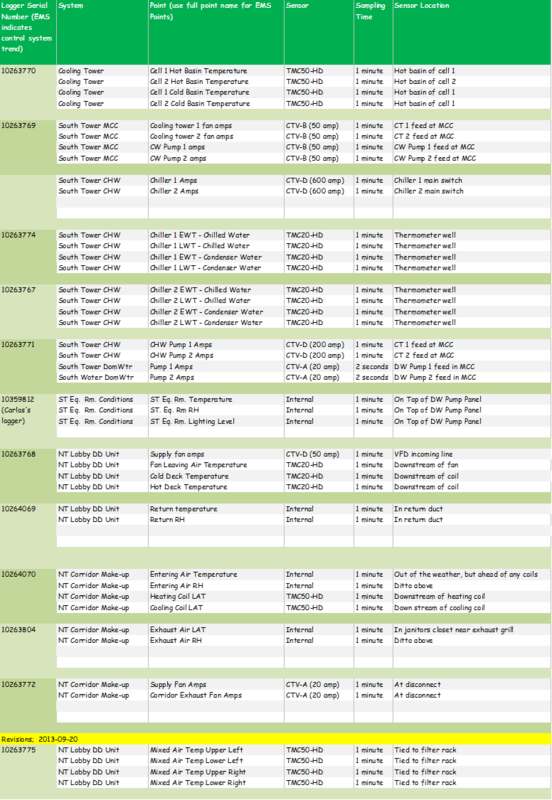 You can download a copy of the spreadsheet tool I use on the Monitoring Plan Spreadsheet page of the website. There are also links to some blog posts on the topic. 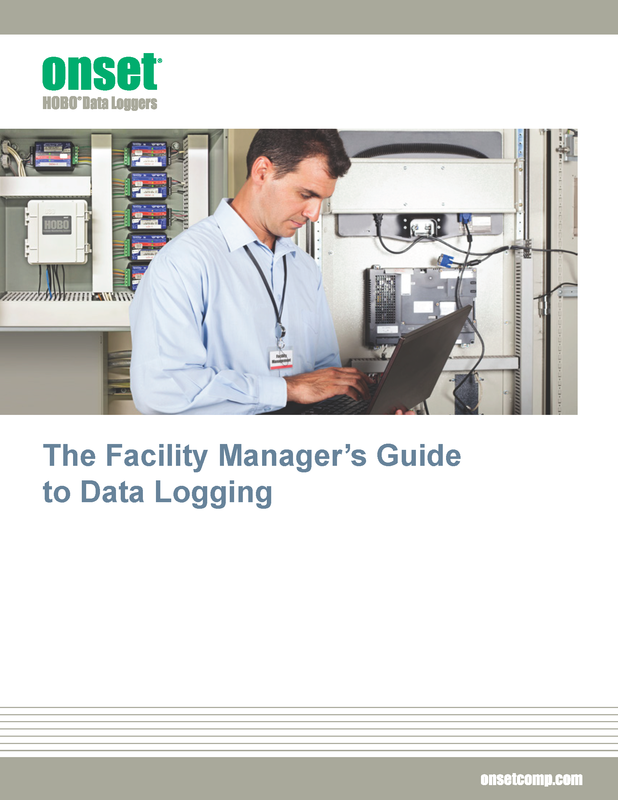 Onset provides The Facility Manager's Guide to Data Logging as a free download from their website. They also have quite a few training videos that demonstrate various data logging techniques using their products.